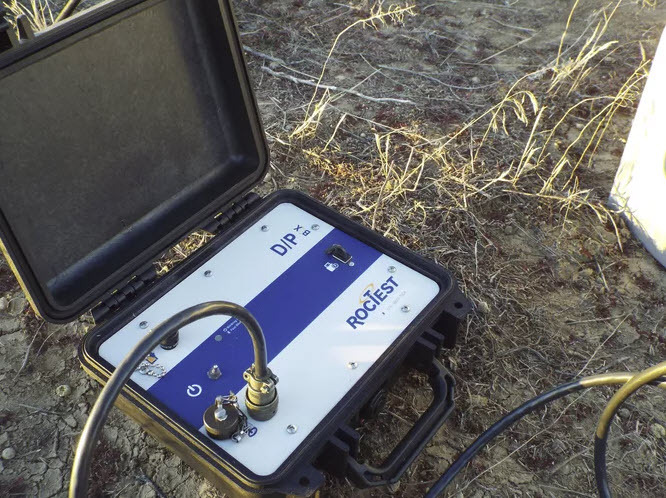 The D/P BOX is designed for reading and logging measurements obtained from pressuremeters and dilatometers manufactured by Roctest (including models DMPe, TEXAMe and PROBEXe). 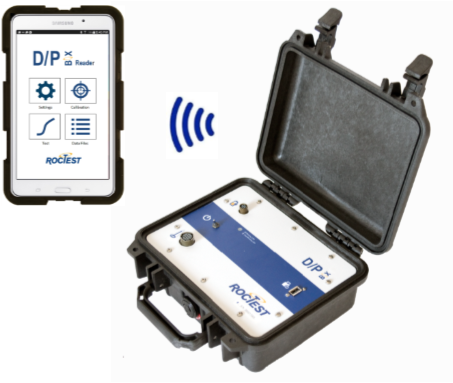 The D/P BOX unit is operated with an Andoid tablet. 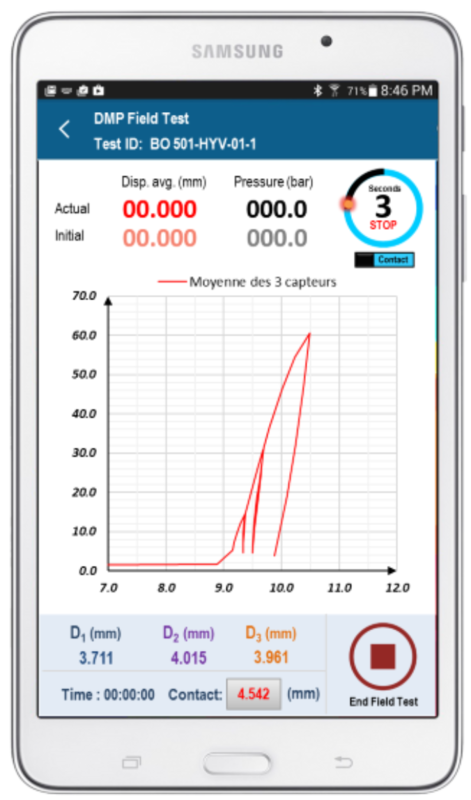 The special Reader Application, installed on the tablet, allows : configuring the tests and calibrations, reading and plotting the test results in real-time, logging the data, and to reviewing test results. 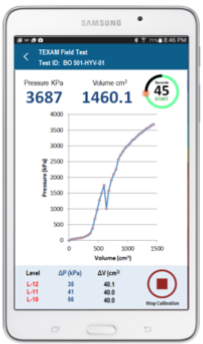 These test data can be uploaded to a laptop via USB communication. 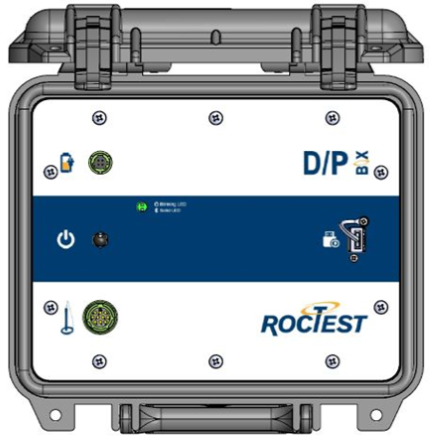 The D/P BOX is fitted with two 12-V rechargeable batteries providing over 8 hours of autonomy in normal conditions. The front panel is splash proof allowing the use the equipment in humid conditions. The D/P BOX comes with cable universal AC wall plug with US/Euro adapter + adapter cable for car (lighter) and for external battery. The battery can be charged every night. A charging circuit inside the readout limits charge time to a certain level. Universal AC wall plug with Euro/US adapter + adapter cable for car (lighter) and for external battery. The readout includes adapters for charging batteries and connector caps.